Meizu is emerging again to provide competition to innovative brands like Xiaomi and this time, the main factor that will set the upcoming Meizu Pro 7 is the secondary display on its back. The latest picture of the Meizu Pro 7 has just emerged on the web. The Meizu Pro 7 was already in the news for a while due to its unique secondary display and it’s not a concept or anything like that as it seems that the phone will be available for the consumers and will be a flagship device, packed with the best hardware and features. The secondary display is not the only unique thing- The rear camera on the phone will be able to take selfies. Meizu Senior VP Jeffery Yang just shared a picture of this upcoming phone, giving a clear glimpse on the second screen of the Pro 7, as you can see above. 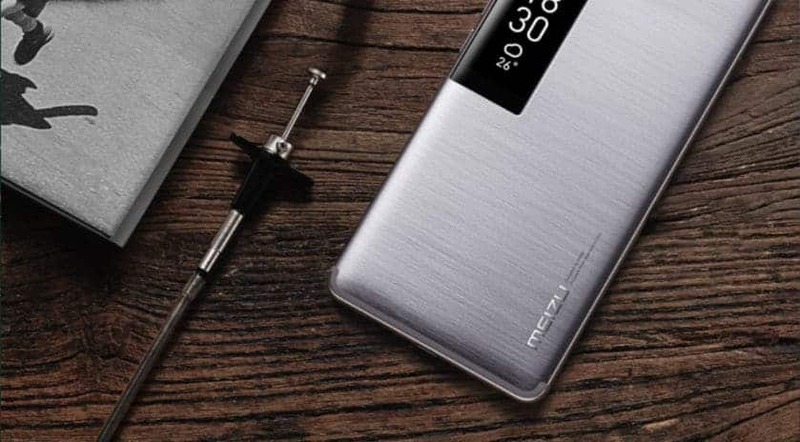 The upcoming Meizu Pro 7 is expected to be powered by the MediaTek Helio X30 processor, 5.2-inch 1080p display, and dual rear cameras. It will be launched on the 26th of July, on the same day the Mi 5X and MIUI 9 is to be announced. Previous articleMax C Electric Skateboard – Maybe your next daily companion?